The government aims to legalize and regulate the use of recreational pot by July 1, 2018. 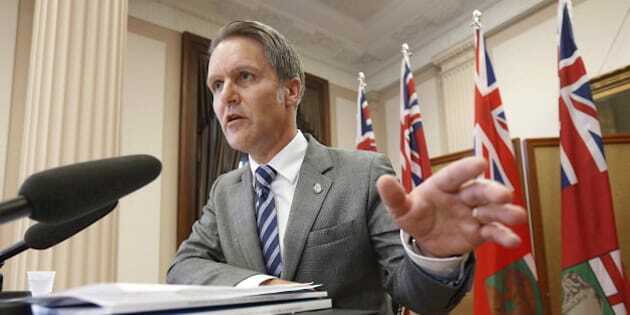 OTTAWA — Manitoba's finance minister says he's feeling rushed by the Trudeau government's July 2018 timeline for legalizing recreational marijuana and he wants more time. Provinces, he argued, are responsible for much of the work and the "very real" costs needed to create a regulated cannabis market. Friesen didn't reveal how much extra time he's hoping for, but said he expected the issue to come up during the talks. "In respect of a July 1, 2018, deadline, we're concerned and we'll express that upstairs — it feels rushed," Friesen told reporters before entering the meeting. "This is a very significant shift in how we'll operate and we need to have that adequate time to develop the tools that we will need as a province to be able to implement this the correct way." Finance ministers from across the federation are meeting to discuss several economic issues, including how best to tax Canada's forthcoming legal pot industry. Ottawa has signalled it would like to reach a "co-ordinated approach" with the provinces on cannabis taxation. On his way into Monday's meeting, Ontario Finance Minister Charles Sousa insisted he had yet to consider how much pot-related revenue his province could bring in because he's been more concerned about ensuring legalization is handled properly. "We're going to be asking for fairness and flexibility, so that when there are some possible revenues that come from this that it's properly shared," Sousa said. Quebec Finance Minister Carlos Leitao said he anticipated "an interesting and calm discussion" about cannabis. "We want just to make sure that any system that is put in place is equitably distributed amongst the provinces," Leitao said. "The provinces are going to have to shoulder most of the costs of putting in place regulations, so we should also have most of the revenue." "We can't have a half-baked cake here," Friesen said. "We have to make sure that all of this analysis is done."